Says “bye, bye cellulite” with the new, improved Anti-Cellulite Vacuum Fat Sucker! Want to look your best for holiday parties and beyond?Anti-Cellulite Vacuum Fat Sucker is just what the doctor ordered! Declare victory in your battle against cellulite! This new, improved portable vacuum therapy system combines gentle suction and efficient massage rollers to melt away fat and reduce sizes while helping you look and feel your best. It’s perfect for all problem areas including thighs, arms, stomach, buns, hips and legs. Comes with large roller cup and a small cup for more delicate areas. Easy to use. Excellent on thighs! 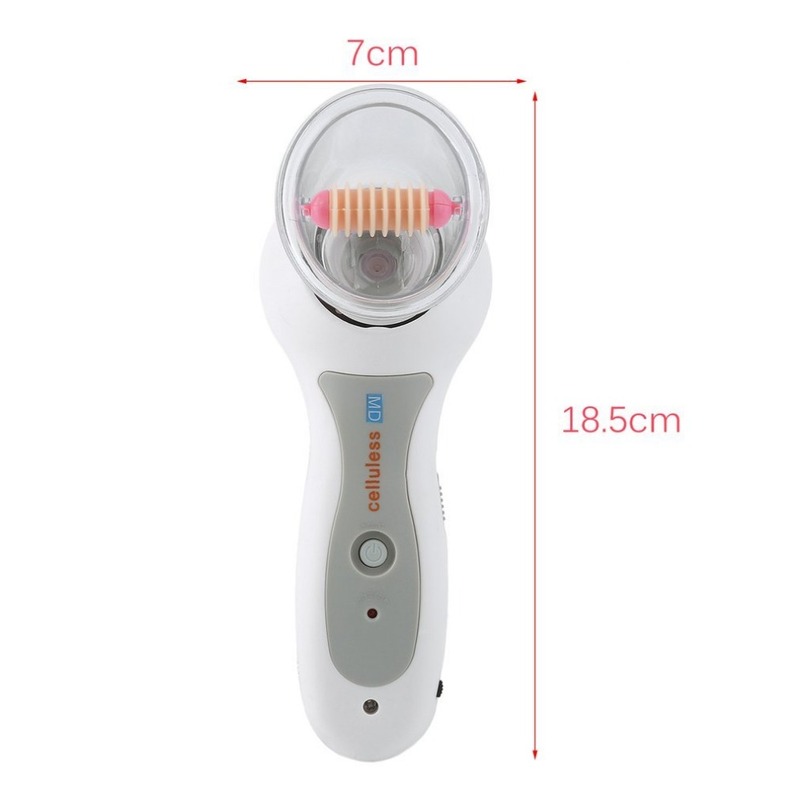 Anti-Cellulite Vacuum Fat Sucker includes 1 of each: ? 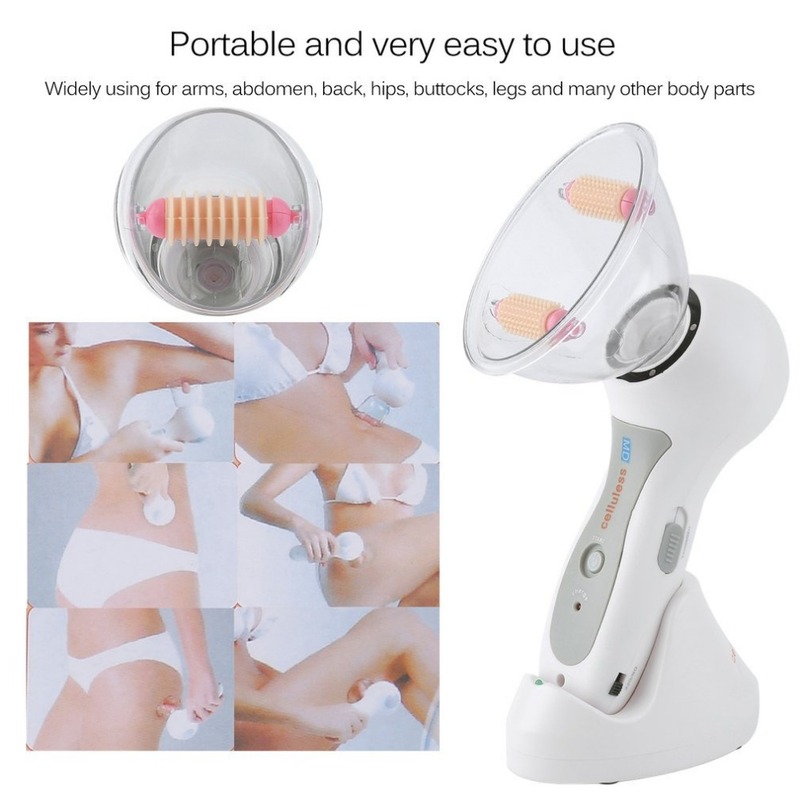 1 Anti-Cellulite Vacuum ergo device, 1 Cup ergo Dual Roller, 1 Cup ergo Single Roller, 1 AC/DC Adaptor 110v / 220v – Rechargeable, 1 base Organizer / Charger.